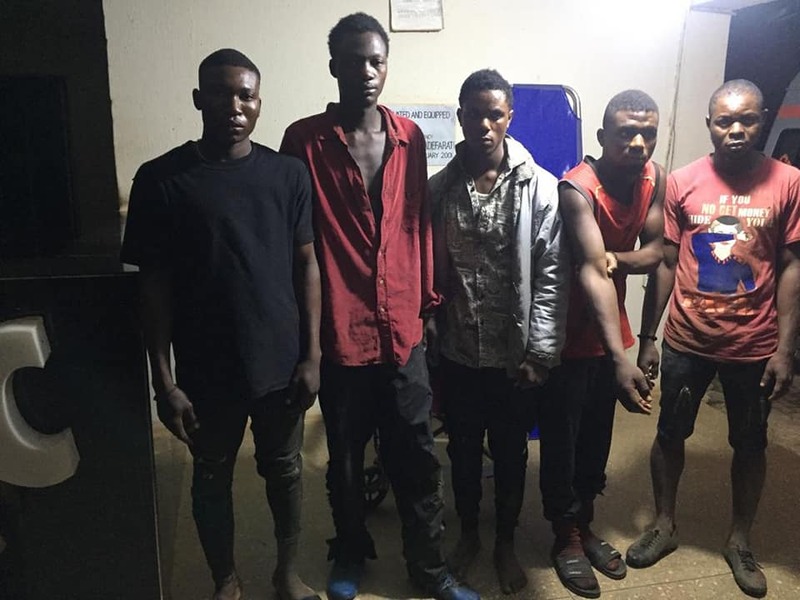 Troops of the 32 Artillery Brigade in Akure have arrested five suspected kidnappers terrorizing the people of the state on Tuesday the 16th of April 2019, while conducting a raid operation on the kidnappers’ hideout at Jugbere village in Owo Local Governnent Area of Ondo State, following credible information of kidnap incident involving nine (9) persons at Mr Godwin Ugu Integrated Agric Farm in Owo. This was contained in a press statement issued by Assistant Director Army Public Relations 32 Artillery Brigade, Captain Victor Olukoya in Akure, the Ondo State capital. 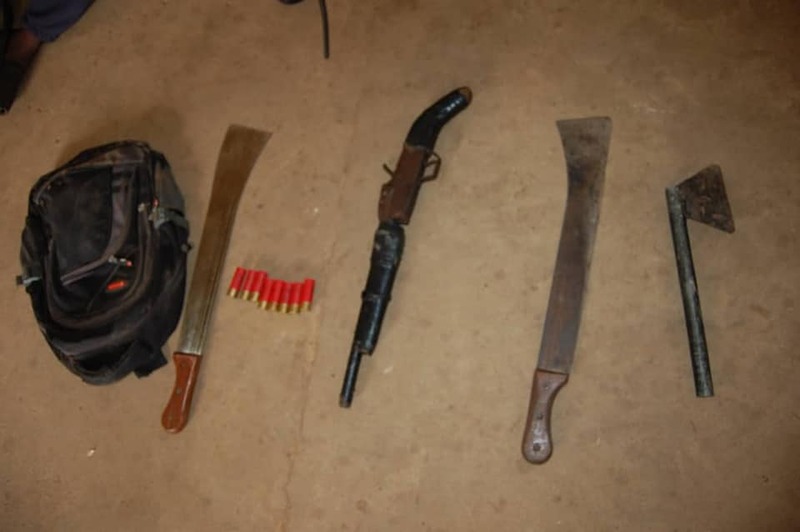 The operation resulted in the arrest of 5 kidnappers and rescue of 5 hostages and 4 other abductees escaped from the kidnappers’ den on arrival of troops. The rescued hostages and the arrested suspects – who had minor injuries have been taken to the Brigade Medical Centre for medical examination/treatment. The suspects will be handed over to the appropriate civil security agency at the conclusion of preliminary investigation. The 32 Brigade Nigerian Army wishes to reassure residents of Ekiti and Ondo States of the commitment and capability of the Brigade to ensure security of lives and property of law abiding citizens. To this end, the Commander Brigadier General ZL Abubakar has ordered for intense patrol in the states to assist in ensuring peace and security. Members of the public are enjoined to pass information to the security outpost close to them. The 32 Artillery Brigade emergency public cellphone numbers are active 24/7 to the public to pass credible information. Applications are open for Colin Aikman Award funded by the Victoria University of Wellington. This award is available for those applicants who should intend to study law in undergraduate, postgraduate or Ph.D. Degree level in Victoria University of Wellington. The Award has been established in Colin Aikman’s memory and shall be tenable for one year. More than one award may be made per year. The winners will receive a cash prize of Up to $10,000. Victoria University of Wellington is New Zealand’s globally ranked capital city university and will be one of the great global-civic universities. Its mission is to undertake excellent research, teaching and public engagement in the service of local, national, regional and global communities. Why at Victoria University- the University of Victoria is one of Australia’s most industry-related institutions and is one of the top 2% of the world’s universities. You will learn from the leading industry professionals who join the theory with practice to prepare for their career from the first day. Eligible Countries: The award is open to students from all around the world. Eligible Course or Subjects: The award will be given in the field of constitutional law, human rights, international law or other legal issues affecting the South Pacific. To apply for this award, the Applicants should be intending to study law at Undergraduate, Masters or Ph.D. Degree level at Victoria University of Wellington, with a focus on constitutional law, human rights, international law or other legal issues affecting the South Pacific.